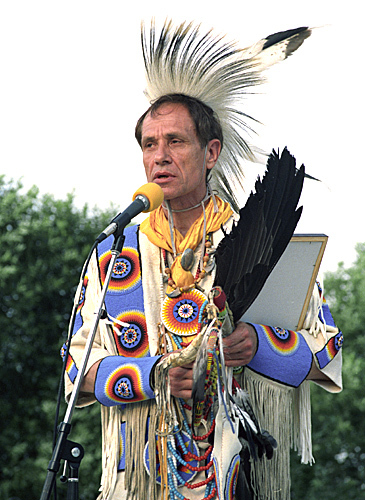 Douglas Cardinal, design architect of the museum. 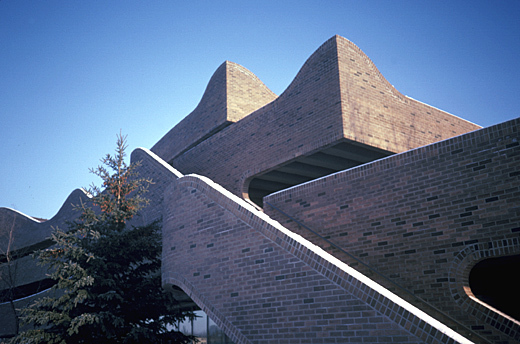 His design for St. Mary's Roman Catholic Church (begun 1967) in Red Deer, the town where he grew up, first brought him into the spotlight. Its curving forms, dramatic use of natural lighting over the altar and lectern, and his imaginative use of brick, which were to become trademarks of his style, prompted critics to note that his architecture combines the contemplative and the sensuous. 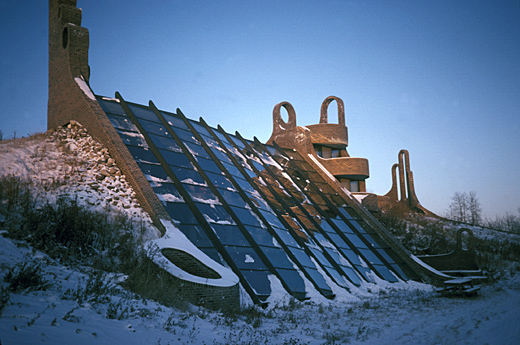 In the Grande Prairie Regional College, a recreational, cultural and educational centre for that community, the Alberta Government Services Centre at Ponoka, the St. Albert Civic & Cultural Centre, and his own home at Stony Plain, he continued to design and build beautifully undulating shells. Another side of his creativity was shown in the Edmonton Space Sciences Centre, which had a futuristic appearance; the Centre included an IMAX ® theatre. Cardinal's architecture has been characterized by his sensuously curving forms and his use of earth-tone materials that create a sculpted effect reminiscent of natural landforms. Edmonton Space Sciences Centre, Edmonton, Alberta. "Instead of viewing the museum as a sculptural problem, instead of identifying all the historical forms and making them the vocabulary for my solutions, I prefer to take a walk in nature, observe how nature has solved its problems, and let it be an inspiration to me in solving mine." "Our buildings must be part of nature, must flow out of the land; the landscape must weave in and out of them so that, even in the harshness of winter, we are not deprived of our closeness with nature." "I have always maintained that the endeavours of all Canadians should be directed towards a betterment of the human condition. Therefore in my role as planner and architect, and as the coordinator of technologists, I see a tremendous opportunity to petition the needs of the individual and to reinstate our humanness as the most important element in all of our efforts. I have found that by placing the needs of the human being before the systems that modern man has created, we can ensure that man is indeed served by these systems rather than becoming a slave to them." 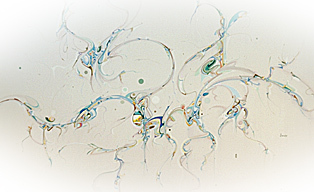 "Twenty years ago, I met Alex Janvier and, at that time, he was an inspiration to me on the way that he stylized these natural forms in his artwork... I always admired and respected his work and really felt that we were always following the same path - he as an artist and me as an architect. 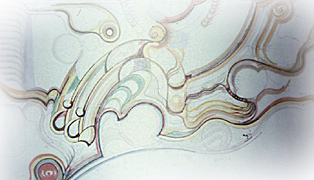 We both use the traditional teachings as the foundations for our designs." 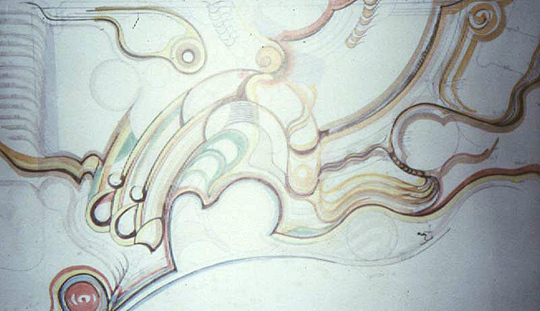 One of Cardinal's early sketches of the museum. 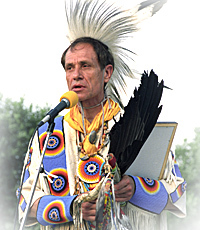 These ideas heark back to his own Native ancestry - not least his belief that the design of a building is a spiritual act. 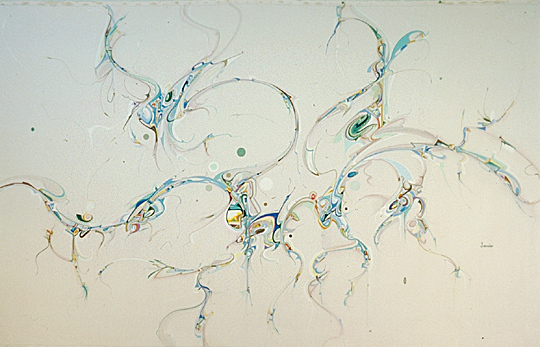 The ebbing and flowing liquid forms of Cardinal's initial conceptual drawings of CMC are reminiscent of the paintings of the Chipewayan artist Alex Janvier: the two men appear to have the same feeling for line and form. It seems appropriate that a museum housing collections of Indian artifacts of national importance should be designed by someone with roots in Canada's Native culture, although this was not a factor in the selection decision. 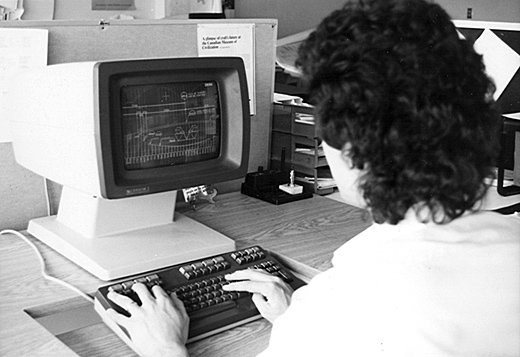 What was influential on that decision was his reputation for integrating high technology into his work. 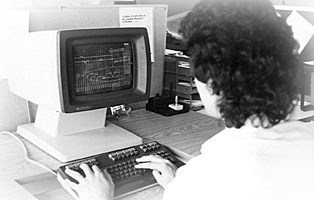 Cardinal's firm pioneered the use of computer-aided design (CAD) in Canada and was considered one of the leading firms in North America in that field, pushing CAD software to the limits of its performance and identifying new frontiers for it. 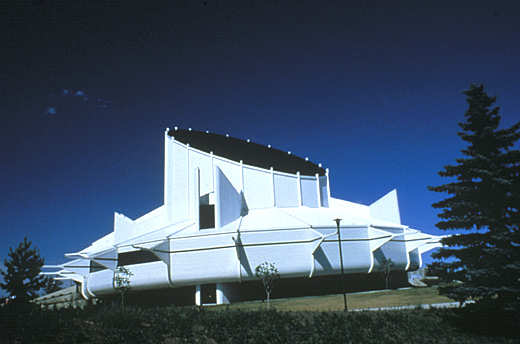 The complexity of his serpentine architectural forms presents difficult geometrical problems; his church at Red Deer, for example, required 82,000 simultaneous equations to design the tent-like roof structure. To solve these and to accommodate the dynamic process of design, involving frequent changes in technical drawings and the repetitive procedures involved in producing updated sets of drawings, CAD was a natural answer. It gives accuracy, speed, and coordination, releasing staff from tedious manual drafting tasks to devote more time to design refinements. By itself, of course, it cannot guarantee a better building - that responsibility remains with the creative skill of the architect. Cardinal's CAD equipment facilitated the design of the complex geometrical forms of CMC, enabled alterations to be made easily, and permitted quick production of updated site plans.